This is a beautiful turn key ready 1bed/1bath condo in the heart of downtown Columbia located directly across the street from University of South Carolina Law School and short walking distance to campus! 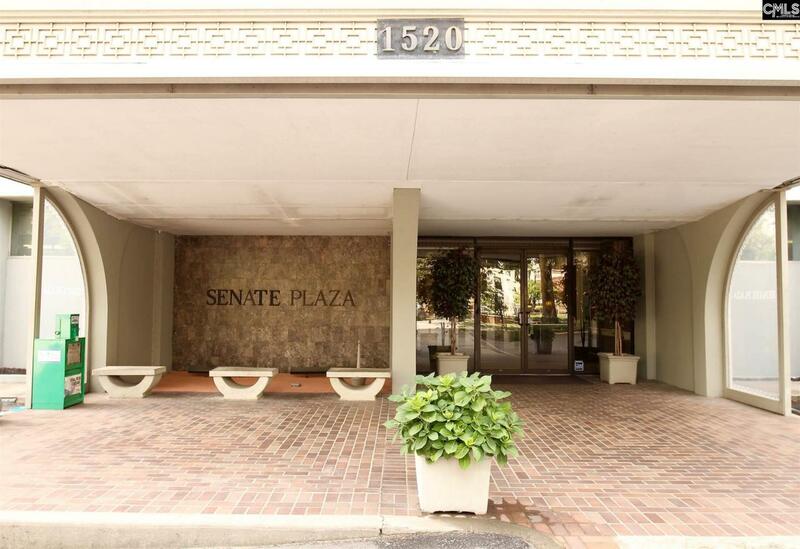 Senate Plaza, an upscale condominium, features: 24hr security, all utilities included (electric/water), cable TV, private community pool, gym, laundry facilities, maintenance both exterior and interior, landscaping, 1 assigned garage parking space on main level, and a beautiful terrace room for your private events complete with a kitchen. 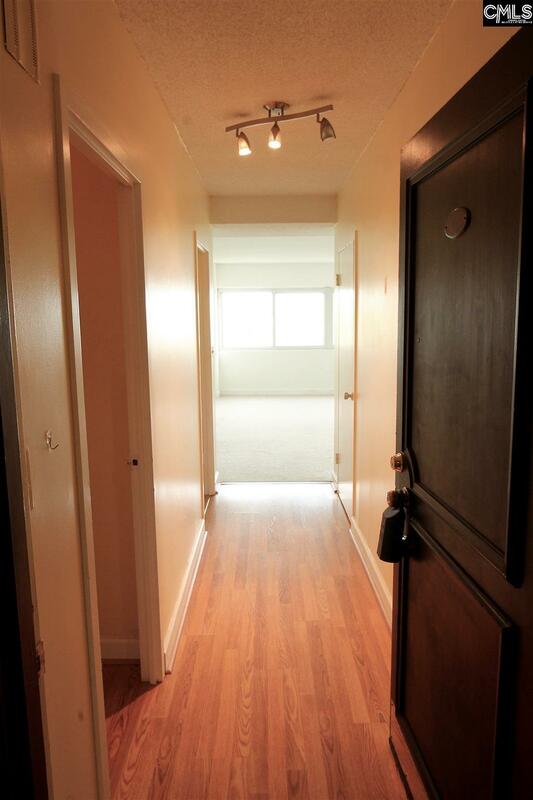 This unit is located on the 6th floor and has a beautiful above tree line view of the city. The building is currently undergoing some renovations including the exterior brick work (in process) and common space area carpets, as well as, to include the elevators. Investors, this unit has been a rental and has consistently been easily rented. It has ample closet space with 2 closets and full wall shelf storage. The kitchen features newer appliances (fridge/stove) replaced about 1.5yrs ago, newer laminate floors & carpet about 1 year ago, freshly painted cabinetry, and bedroom/living space has a fresh coat of white paint. It's truly move in ready, close to everything downtown Columbia has to offer! Located on the corner of Senate & Pickens! Listing courtesy of The Mather Company Inc. Listing provided courtesy of The Mather Company Inc.